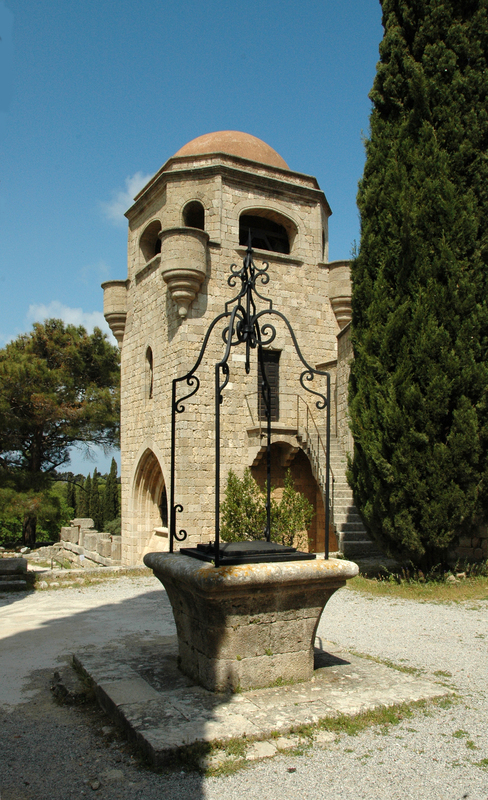 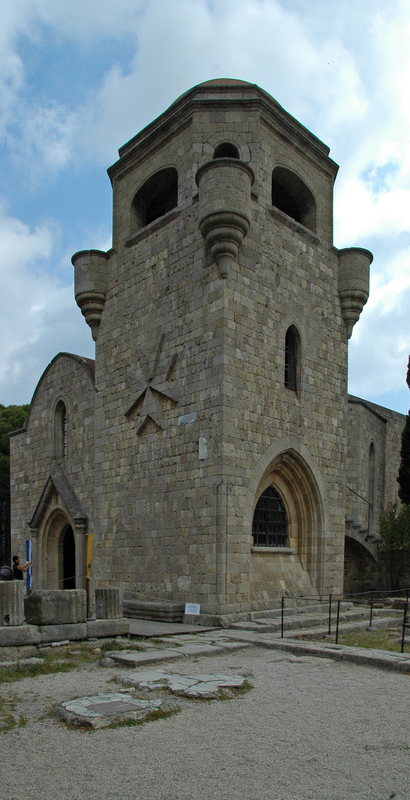 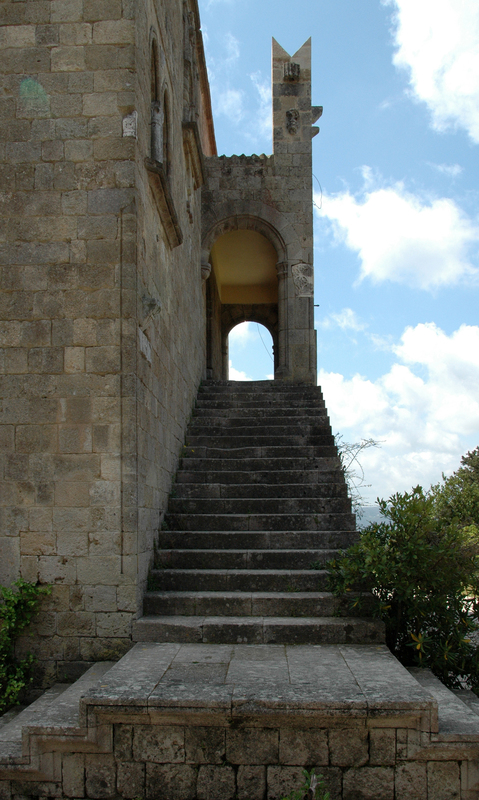 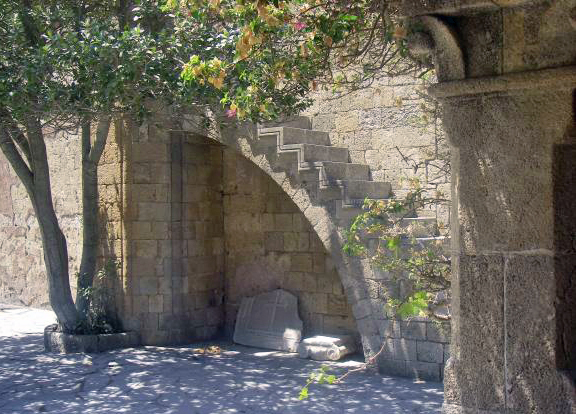 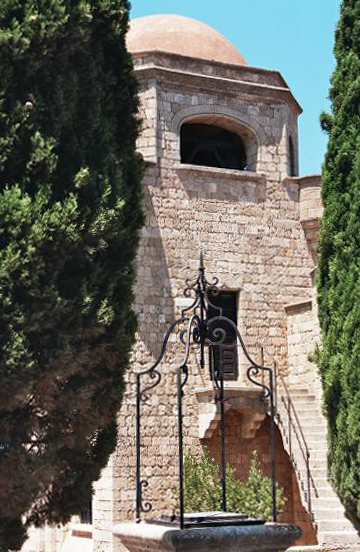 During the Byzantine period, Mount Filerimos (267 m) was equipped with a safe, then it was built in the thirteenth century by the Knights of St. John Monastery of Our Lady of Filerimos (Moní Filérimou). 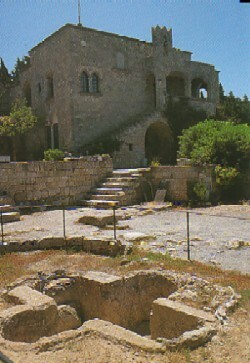 The name of Filerimos (Philerimos, "who likes the Desert") is that hermits lived in the Middle Ages in the caves found there. 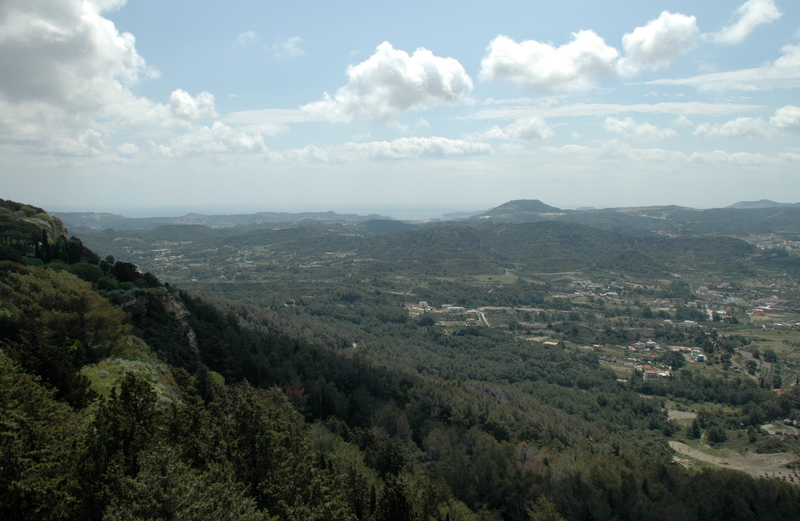 The summit of Mount (267 m), dominates the north of the island. 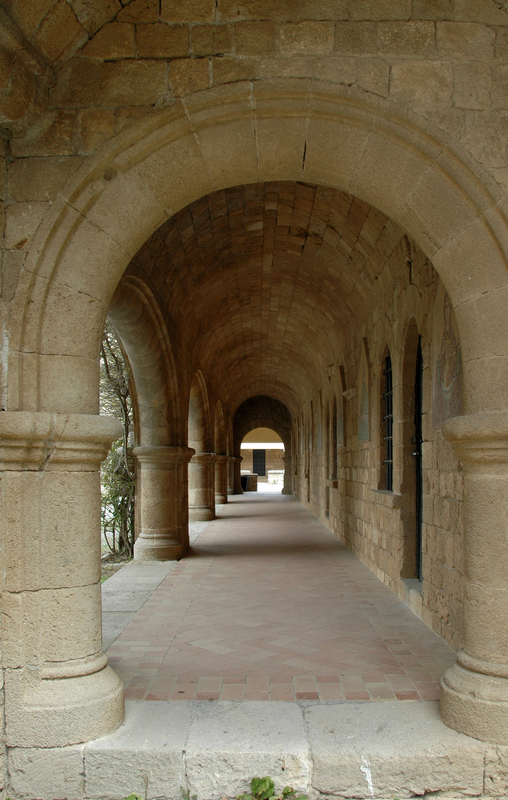 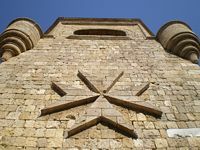 Under the Knights, Catholics monks succeeded those of Greek Orthodox rite who where there since its origine, enlarged its facilities and it conferred a much greater prestige. 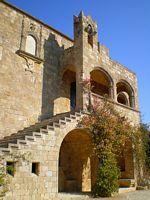 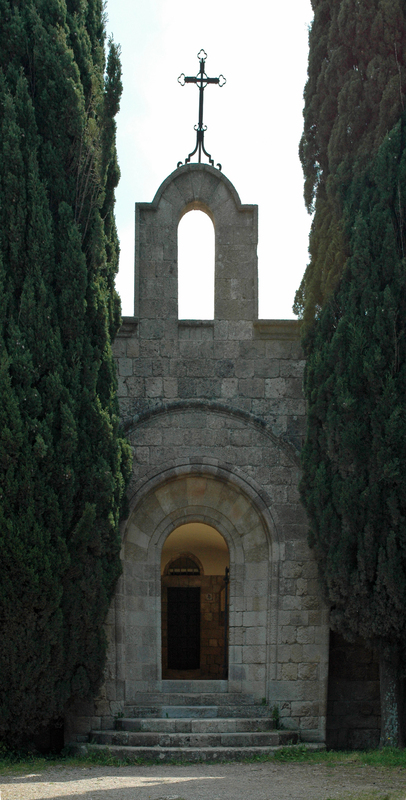 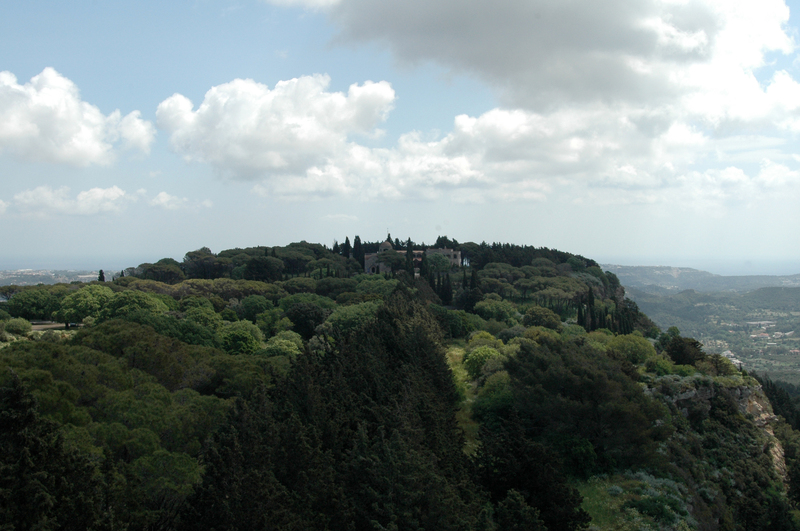 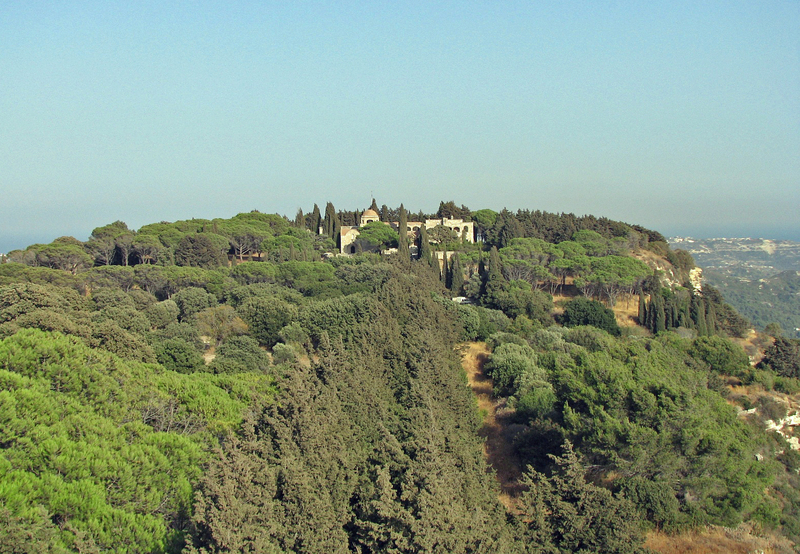 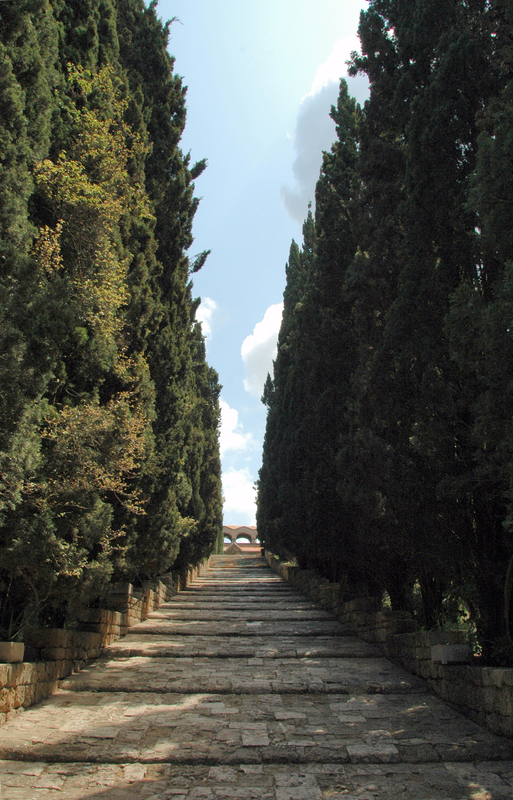 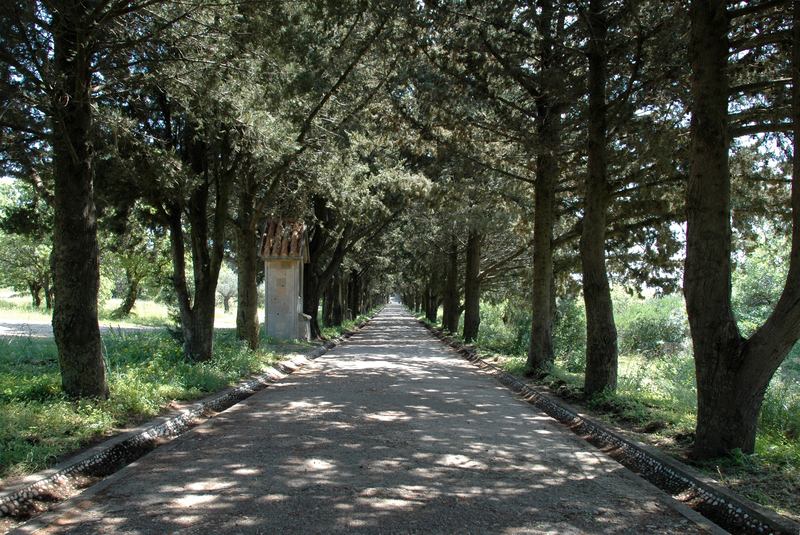 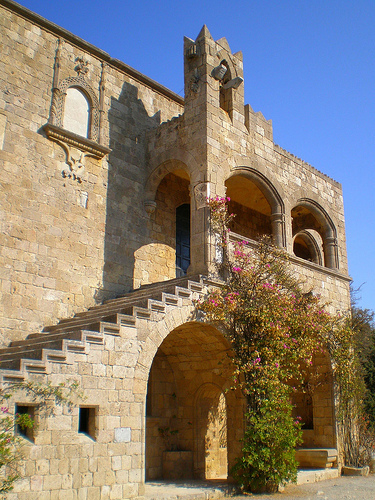 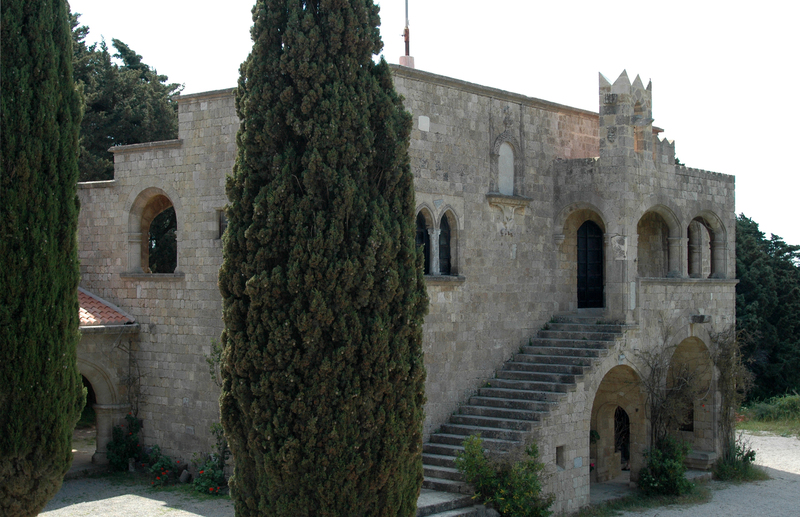 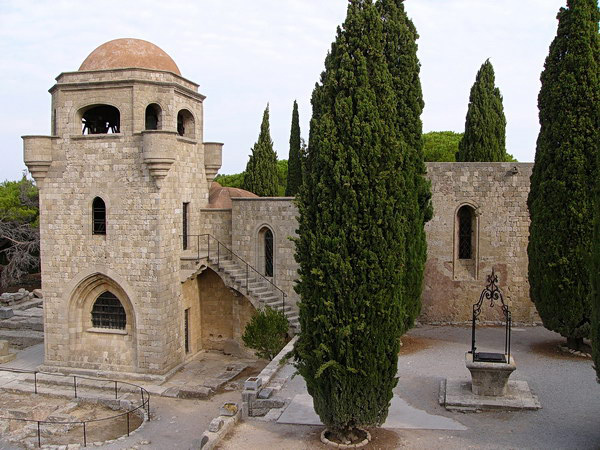 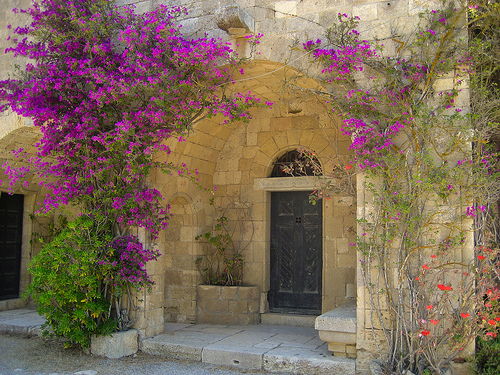 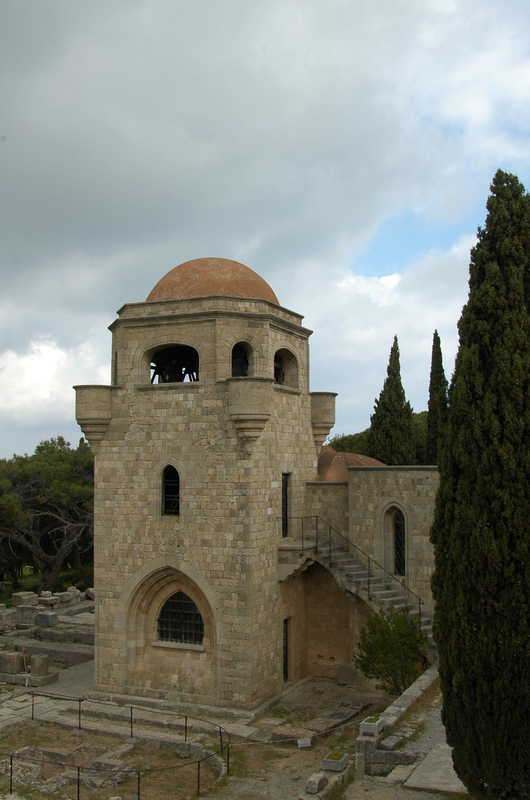 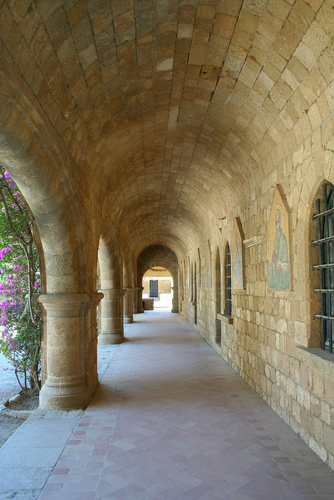 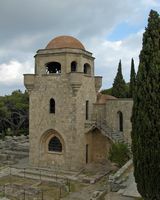 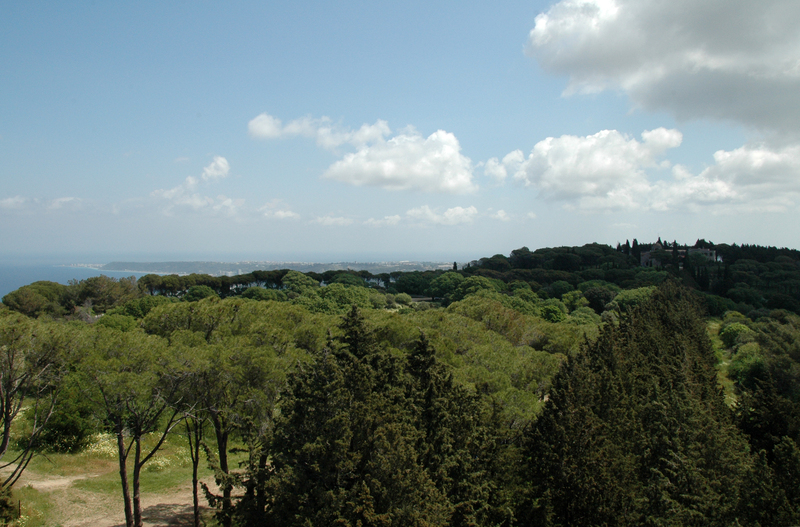 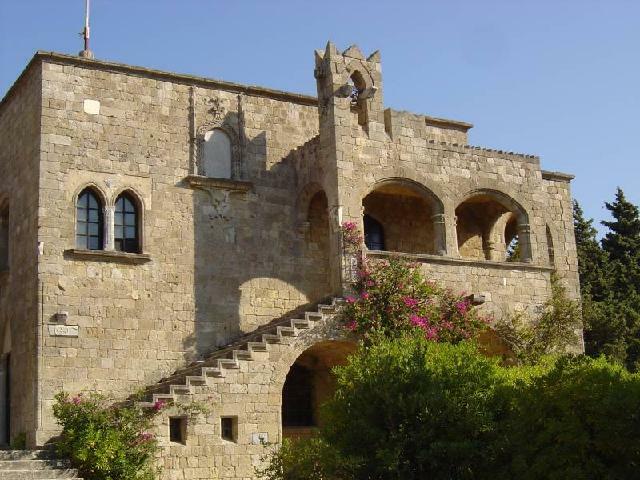 The current state of the monastery, surrounded by Aleppo pines and cypresses, is due to the remarkable restoration by the Italians during the period was the Dodecanese under Italian rule. 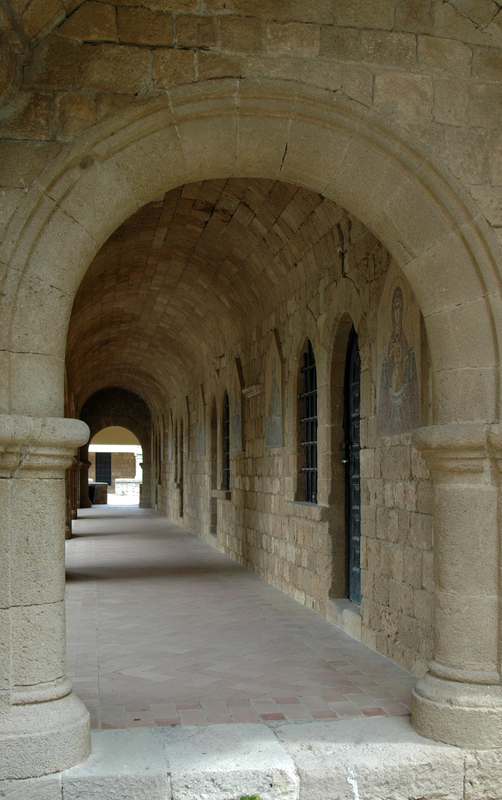 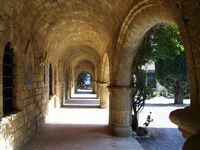 You can admire the chapels surmounted by the cross of the Knights, and especially one of the finest medieval cloisters. 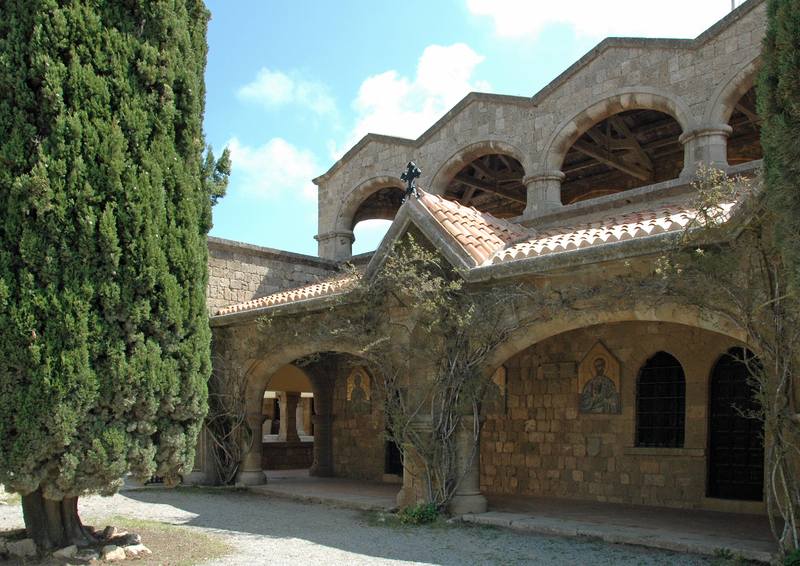 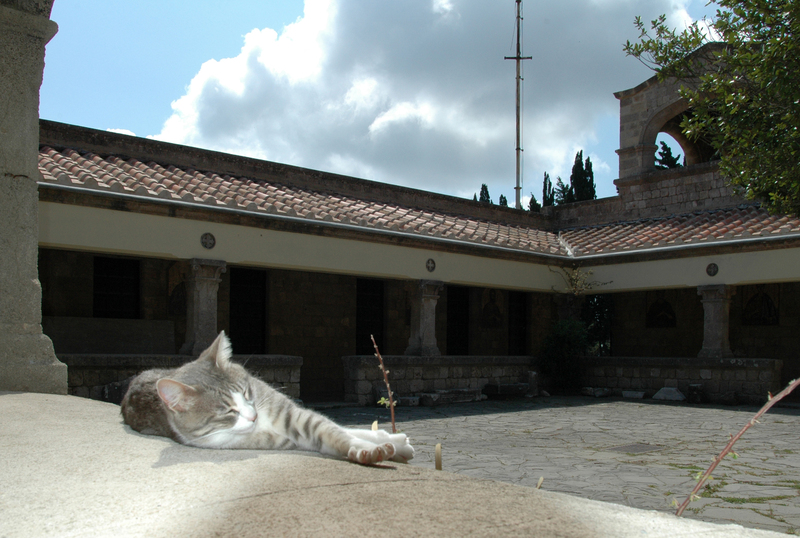 The monastery has retained its cloister and church, dedicated to Our Lady of Filerimos, where you can see a beautiful Byzantine mosaic depicting a fish. 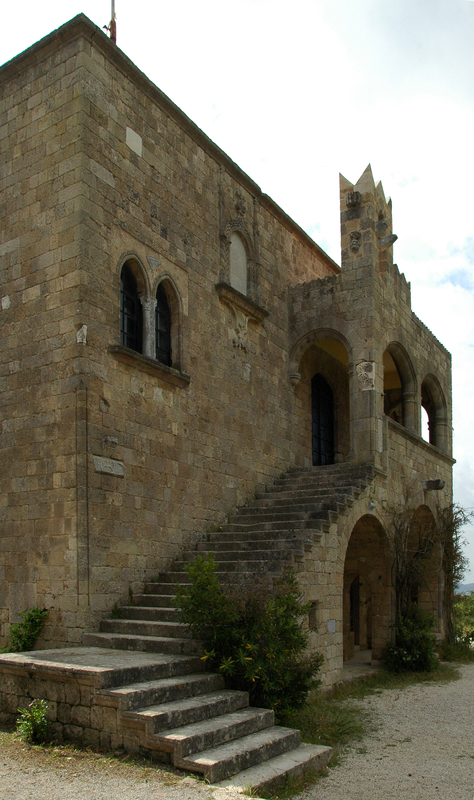 The last Italian monks had to leave the monastery in 1948, strained and forced by the Greek police. The monks sell a local liquor called "sette" consisting of seven plants (oregano, thyme, sage, wormwood plants and three undisclosed ...). Italian monks passed on the secret of its manufacture Pantelis Sikofilos perpetuating the tradition. 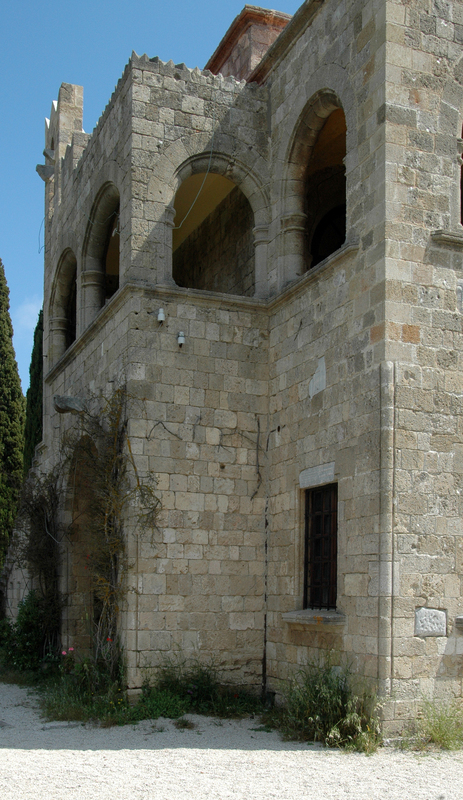 Above against the picture of the icon "Our Lady of Philermos" (H Παναγία της Φιλερήμου), whose original is currently in Montenegro. 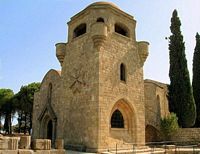 According to tradition, the Virgin Philermos was painted by St. Luke the Evangelist, and from Jerusalem of Rhodes to the year 1000. 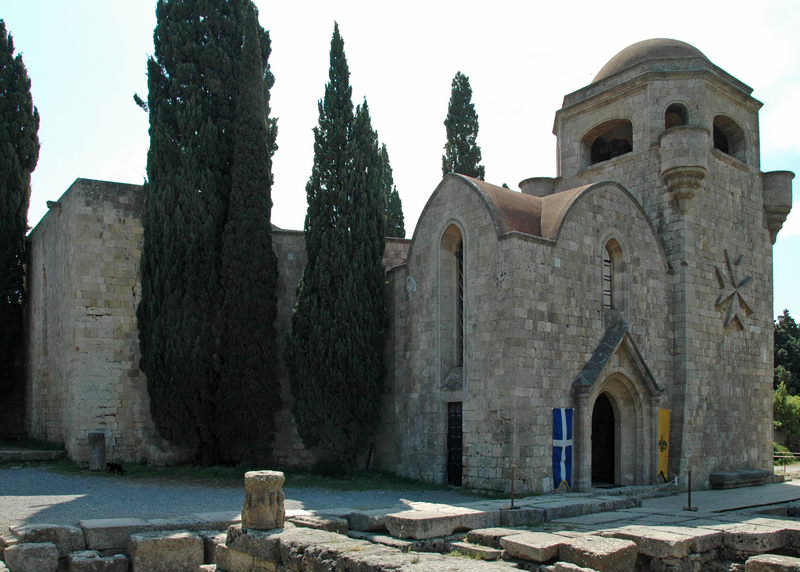 Knights prevailed after taking Rhodes by the Ottomans in 1522. 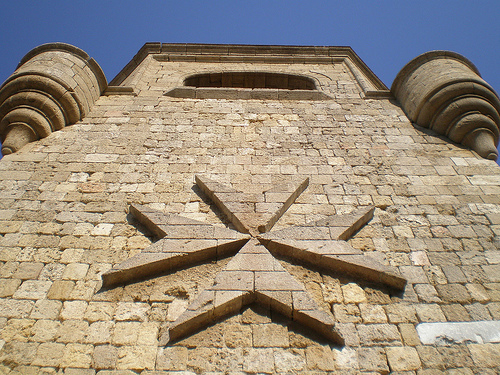 The icon then wandered Viterbo Italy Malta, Saint Petersburg and finally Montenegro. 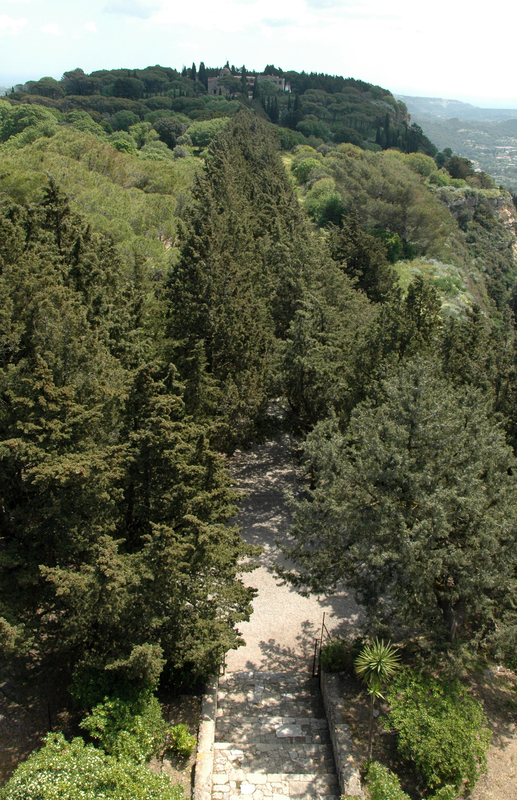 The copy seen at Mount Filerimos is the work of an Italian painter. 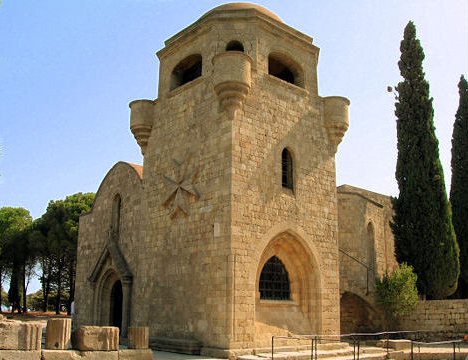 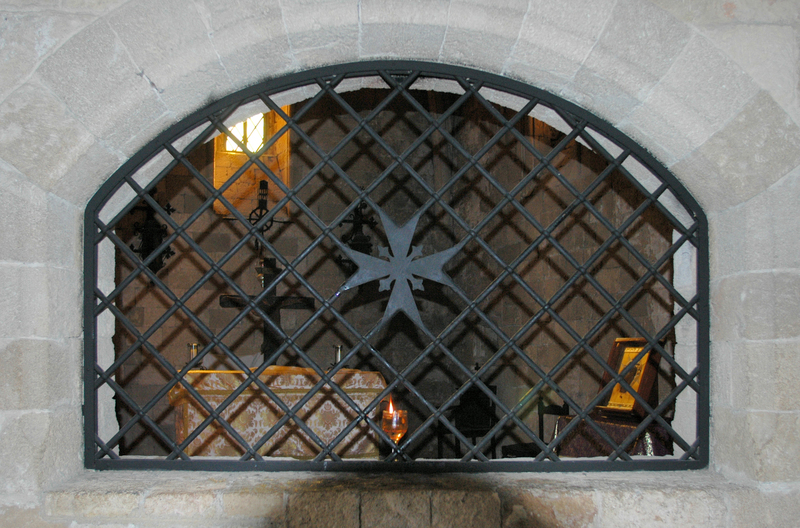 His fame as a miraculous image was known throughout the Mediterranean basin. 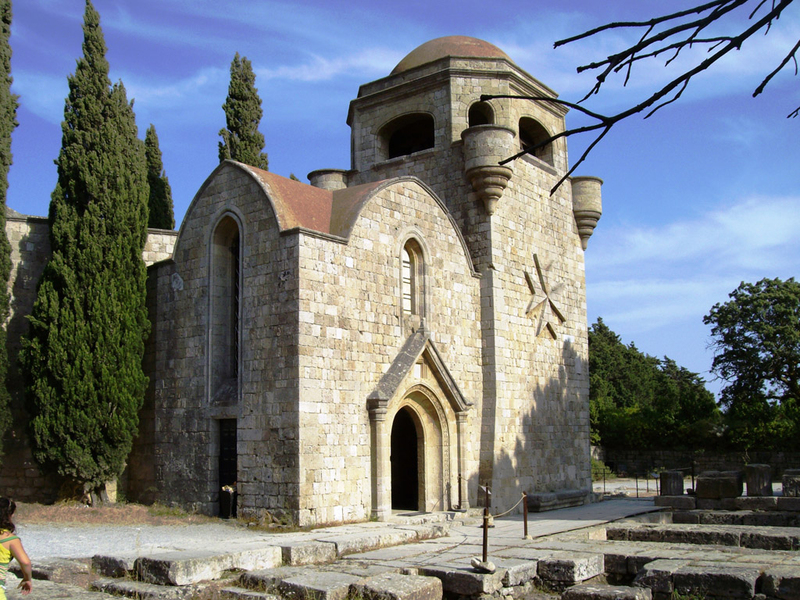 Greek Orthodox Byzantine icon tradition. 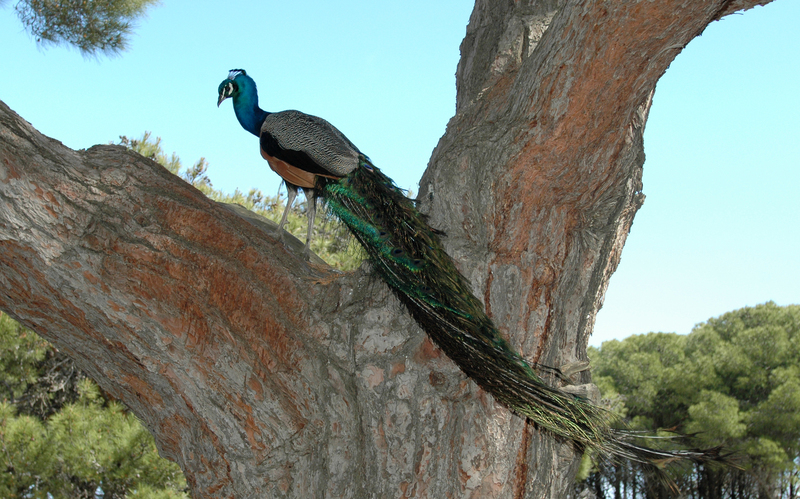 Egg tempera on wood, gilding with gold leaf. 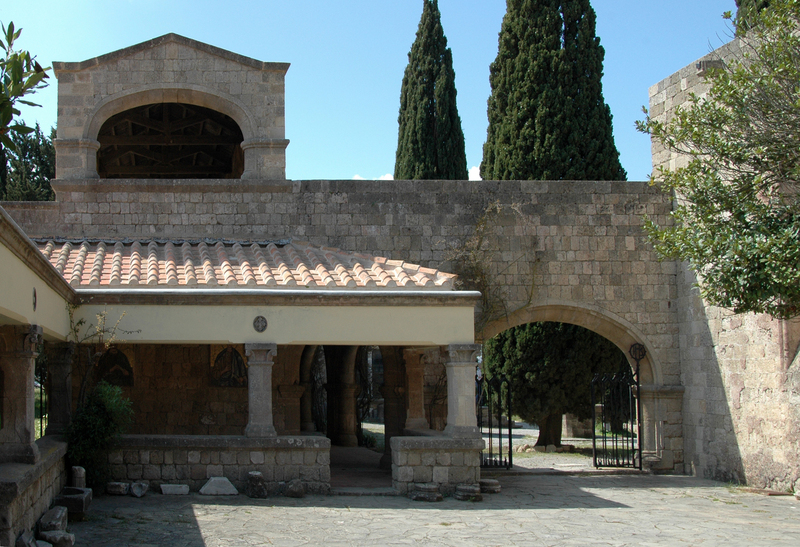 The monastery was built on the foundations of an early Christian church Byzantine basilica, which you can see the remains of the baptistery. 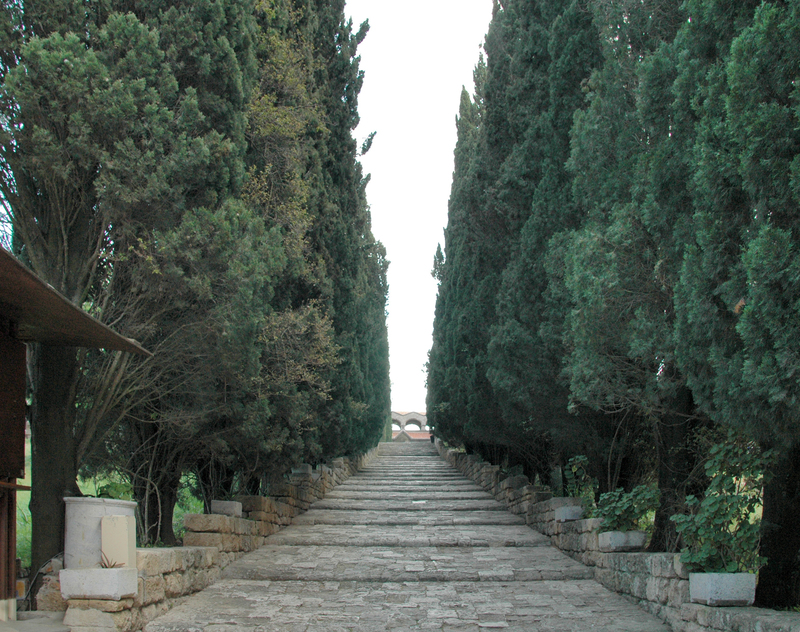 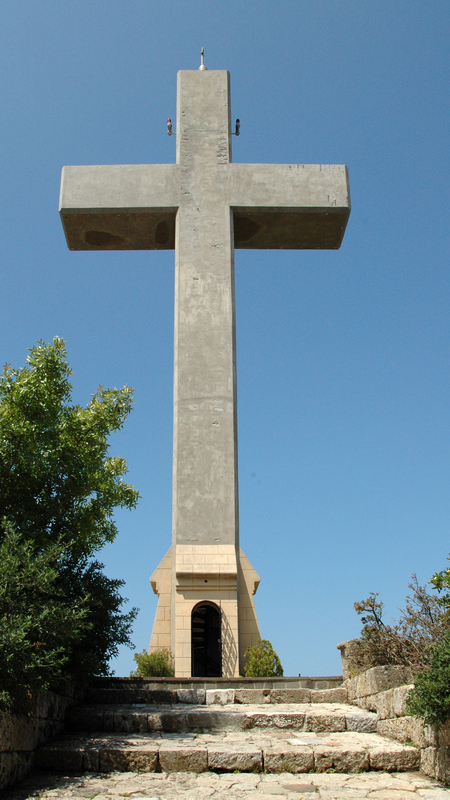 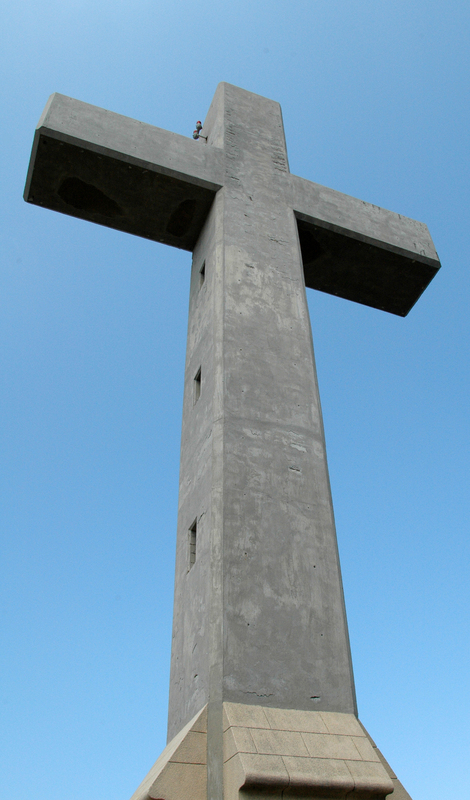 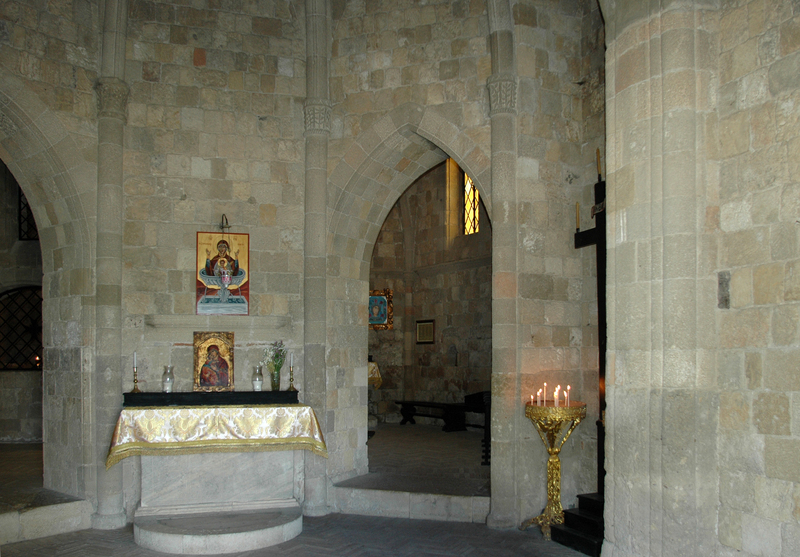 Visitors can climb the way to Calvary (the "Golgotha"), a paved stone with scenes of the Passion of Jesus, the stations of the Way of the Cross are represented by fourteen icons. 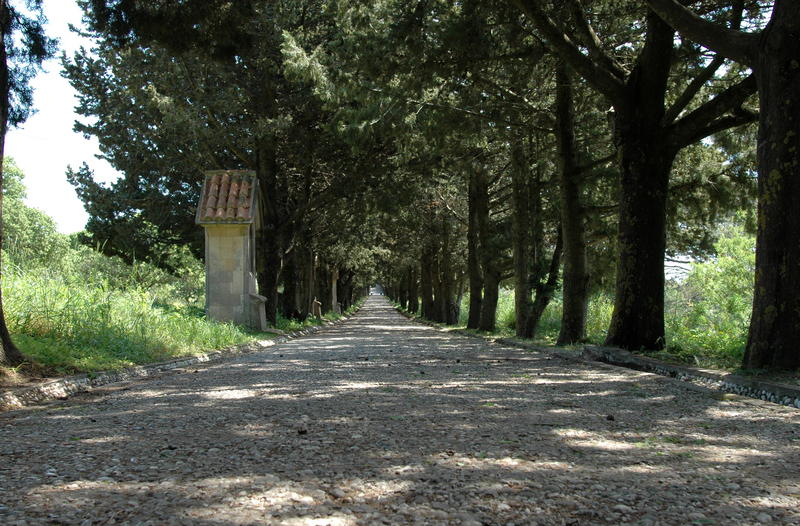 This path leads to the green western part of the hill, where there is a cross in the middle of imposing a small square Filerimos Cross, 18 meters high and visible for miles a round. 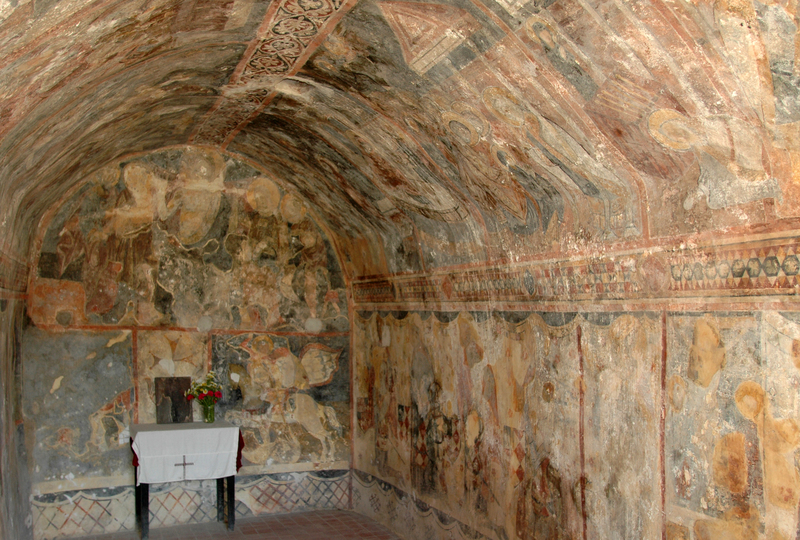 Below the monastery is found half-buried chapel of Agios Georgios decorated with mural paintings of the fourteenth and fifteenth century restored before the Second World War which depict scenes from the New Testament and the Knights with their patron saints. 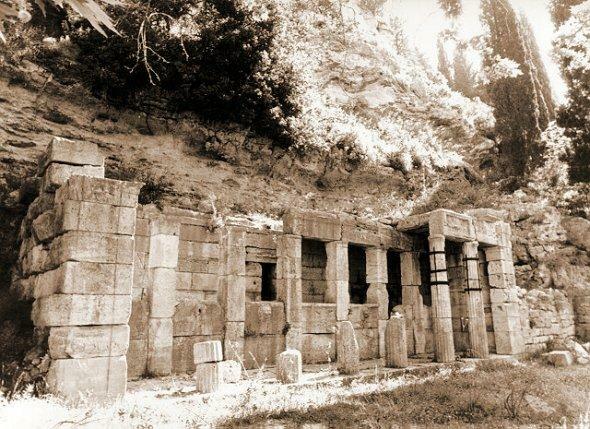 Doric fountain fourth century BC, consisting of six Doric columns, the water gushed from the mouth of lion heads carved in stone. 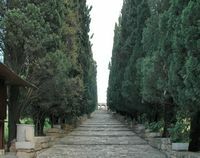 Behind the fountain, the rock is dug long tunnels that served as a hiding place in troubled times. 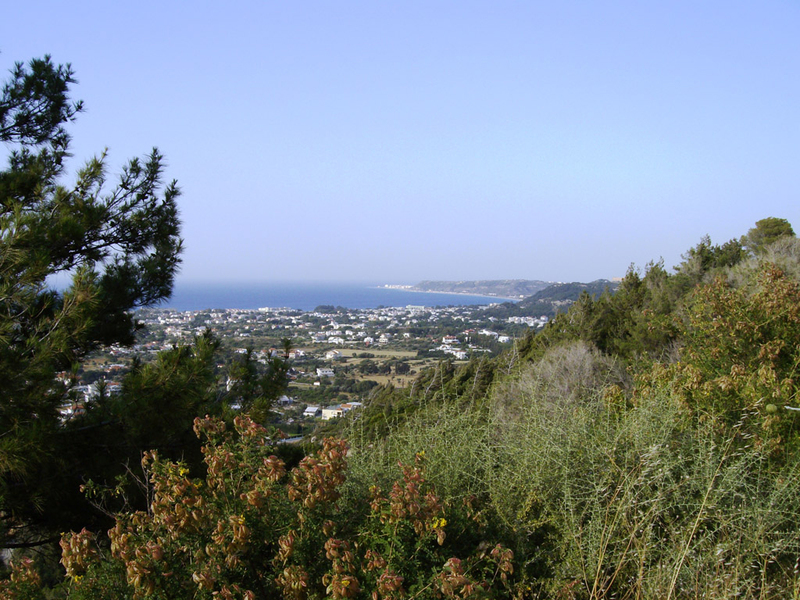 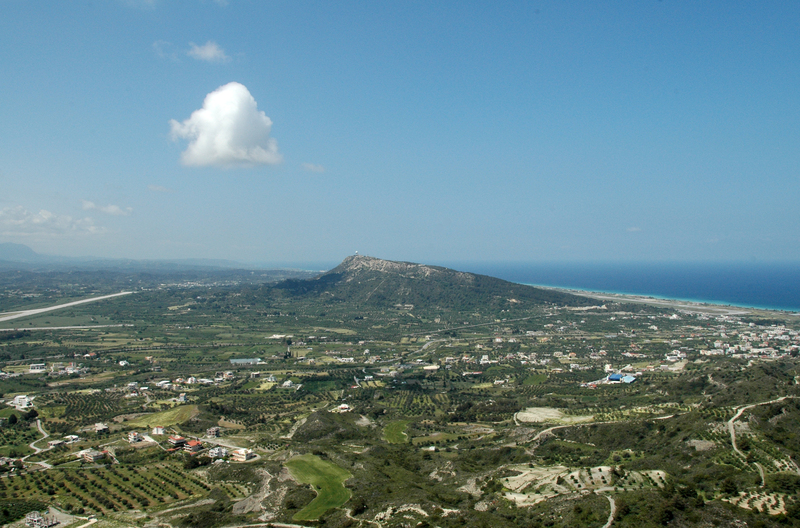 Mount Filerimos, one has a splendid view over the bay of Ialyssos, surrounding villages, Mount Atavyros, the highest mountain in Rhodes, as well as on the slopes of the two airports of Rhodes, namely the former at Maritsa and the new . 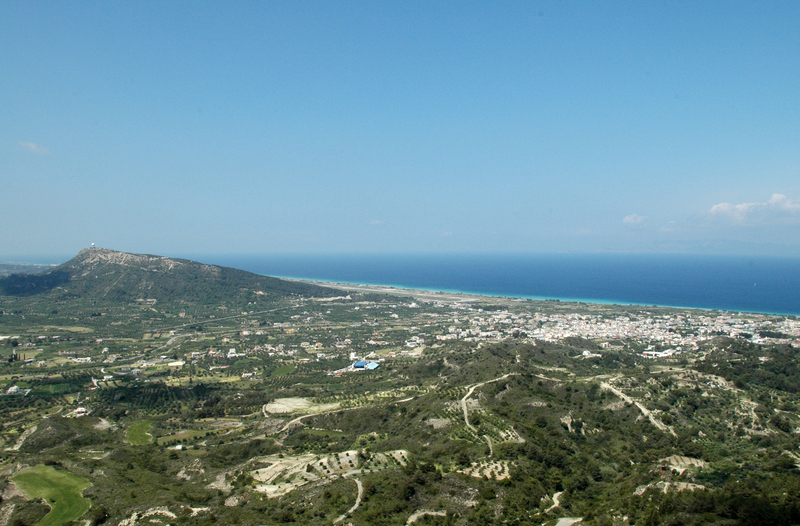 From there it is easy to understand the strategic importance of Mount Filerimos contemplating the vast plain that extends to the sea here is that the Byzantines besieged Genoese in 1248, the mountain was also chosen by the knights before they moved to Rhodes, and their worst enemy, Suleiman the Magnificent, established his headquarters during the siege of 1522. 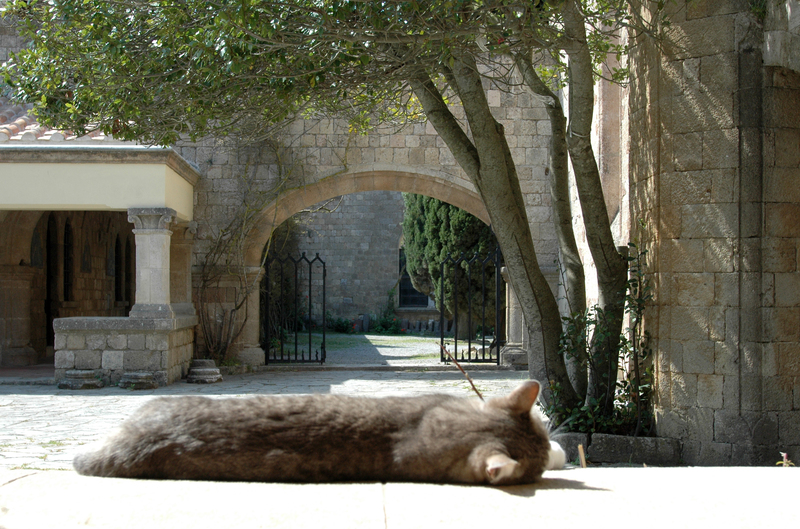 Opening hours Summer: every day except Monday, from 8 am to 19 pm, Winter: 8 h 30 to 14 h 30.